I am extremely excited and over the moon today. I am officially an author! I have had my book accepted for publication by Hay House, which of all the publishers in the world, would be the one that I would have dreamed of choosing. 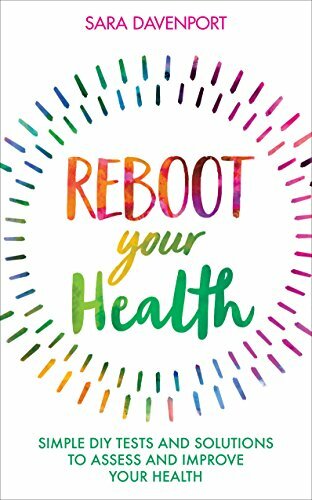 The book is called ReBoot Your Health (funnily enough! ), it was published on 4 June 2018, and is available now. Help me to get the word out, so as many people as possible hear about it and it reaches the people who need it most. One of my favourite phrases is ‘the body whispers before it shouts’, which pretty much sums up for me how most people manage to get ill without having realised that anything at all was wrong with them in the first place. They just didn’t hear the whispers. I decided to write about those whispers and create the ultimate DIY manual for how to get healthy and stay healthy. Something that all of us need and no household should be without. I wrote it for everyone who wants to take control of their own health but doesn’t quite know how to go about it. It’s for people with health issues, as well as people who are already healthy and want to stay that way. I wrote it to help you to find out what really is going on with your health. And more importantly, to show you how to find ways to sort any problems at an early stage, before that problem becomes too serious to manage without help. Most of us never stop to listen to our bodies. As a result, we have shockingly little awareness of how badly we are functioning. Some of us have chronic illnesses; others of us just feel a bit under par. We have become the 'walking unwell'. With waiting times to get a doctor’s appointment getting longer and the feeling of having no part to play in the management of our own health and wellness, it’s time we took back some of the control over our own bodies. 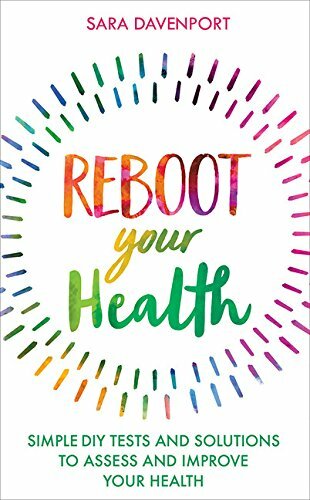 ReBoot Your Health looks at all aspects of your physical health. It offers you easy tests and questionnaires to do, gives you a clear picture of exactly how healthy you are right now, what is working and what is not, and then shows you how to sort any imbalances or problems. It focuses on effective, natural remedies that really work, and are inexpensive and non-invasive. The book starts with a simple, comprehensive, and bespoke health assessment. From cheap and simple tests you can do yourself (sleep, saliva/urine pH, bowel habits, blood pressure, candida etc.) and tests you can ask your doctor or pharmacist for (thyroid, cholesterol, vitamin deficiency, hormone imbalance, inflammatory markers etc.) you can start to benchmark your own body against a range of "normal" - including heart rate, BMI, metabolic rate. It is a guidebook to health that you can refer to for the rest of your life, written really simply and clearly, so that its instructions are easy to follow and understand. It shows you how to become your own health detective, giving you the tools to listen to your body, collect information, take practical steps to get yourself feeling better and avoid future illness. If the book is something you feel might help you, do please order it now. Older PostIs your mobile phone safe?